All Southern Sea Ventures tours, river cruises, expedition cruises, and adventure trips. Find the best guided trips and expert planned vacation and holiday packages. 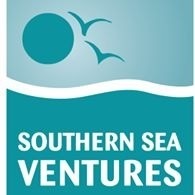 Average rating of 0.0 for all Southern Sea Ventures trips. Kayak among the prolific wildlife of the subantarctic islands of New Zealand and Australia and experience the rich biodiversity of a UNESCO world heritage area.